A bronze plaque is mounted on a very large irregular shaped granite boulder standing almost five feet tall. 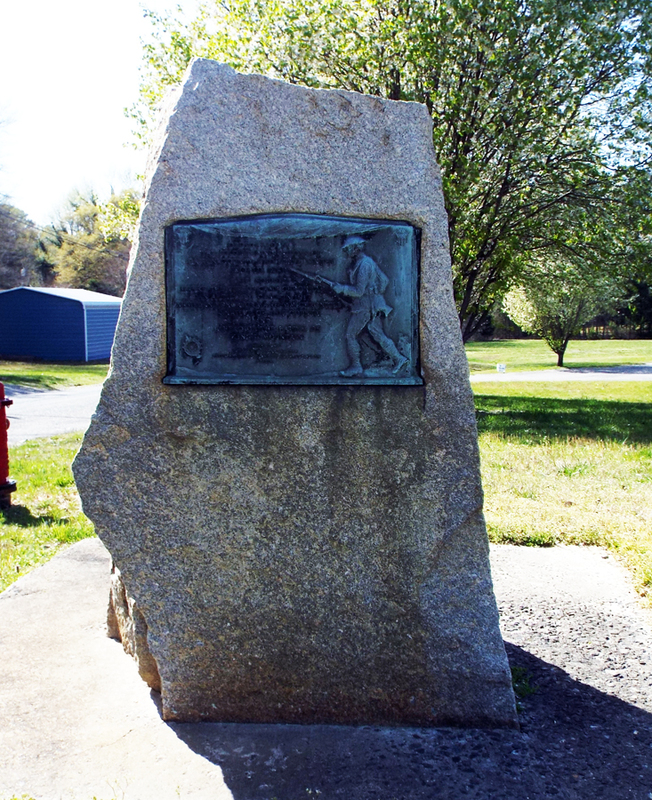 The plaque is adorned with the image of a World War One “Doughboy” charging into action with fixed bayonet. The top of the plaque has a partially furled flag and two United States banners. On the bottom left is the spinning wheel insignia of the Daughters of the American Revolution. Although the marker dates Camp Chronicle as 1917, it was not approved as an army camp until late January or early February 1918. It was named for Major William Chronicle in March 1918. Although the marker was sponsored by the D.A.R., it was presented by them to the Gaston Post of the American Legion. Post commander W.G. Gaston accepted the tablet and paid tribute to the services rendered overseas by those who trained at Camp Chronicle. The camp was named after Major William Chronicle, a hero of the battle of Kings Mountain during the American Revolution. The camp was established as an artillery training base and was in active use for only six weeks in March and April of 1918 by the 4th Field Brigade Artillery that was stationed there prior to leaving for France. Only 2,500 troops in total were ever stationed there. Troops from Camp Greene in Charlotte may have also used the site for artillery training. By July 1918 the camp was closed. 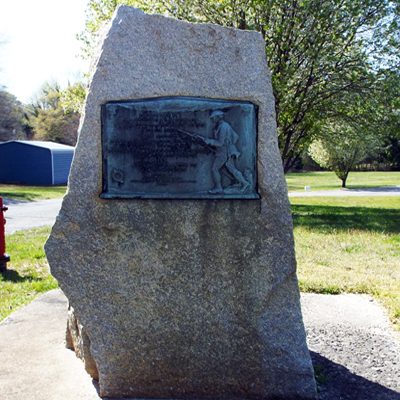 The memorial is located at the intersection of Linwood Road and Monument Avenue, just a few feet off of the roadway, in Gastonia, NC. The marker stands on a grassy area, with trees behind it. The landscape is part of the Epworth United Methodist church lawn.